Just when you thought it was safe to go back onto the water, you were wrong. If you’re a fish, you’re at risk for a killing in the wake of the Arkansas fish kill. For humans, the danger is boat-attacking sharks. Adding itself to the list of global trouble spots is Maryland’s Chesapeake Bay. An estimated 2 million juvenile spot fish were found dead in the Chesapeake Bay and are currently washing up on Maryland’s beaches. 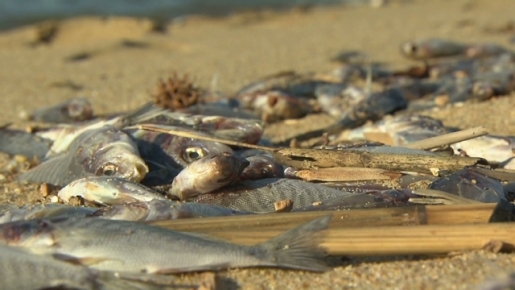 Massive winter fish die-offs have happened before in the Chesapeake Bay, in 1976 and1980. Water quality tests show the Chesapeake Bay to be acceptable, eliminating pollution as a culprit.